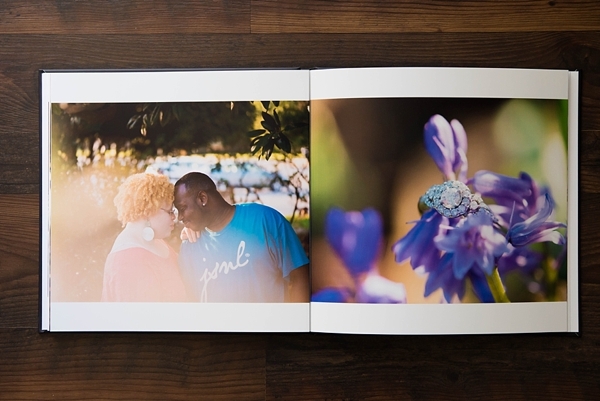 You've heard me compare submissions to wedding albums before because that's how strongly I feel about it! There is an art and craft to crafting the perfect submission with your images, but there's also a lot more work that goes into, making it oh so worth it in the end. Your couples get the cool factor of being published, your vendors are ecstatic you've helped them get their work out there, and you've got some great SEO and ROI from your time spent. Did you know that, on average, editors spend about 2-4 hours on EACH published feature? That's a lot of time for a full week on the editorial calendar! So when photographers make editors' jobs easier by going above and beyond their guidelines, it does not fall on blind eyes. It is noticed, acknowledged, and oh so appreciated. I've been blessed to know some incredible leading ladies in this industry as a photographer and now as a wedding blog editor, so I reached out to get information straight from them! And while it's a little trippy for my being on both sides of the wedding industry, it's given me a lot of great understanding and knowledge how valuable information like this is. Because at the end of the day, we all love weddings, and we all want to see each other succeed and be the best we can for our clients. "Share just a few images, not an entire wedding, with a little bit of pertinent info about the day. It's not necessary to include a paragraph for every detail category or huge photos inserted right into the email submission. Stick to the blog's guidelines and basics, and be specific." "Please, please, please get the approval from the bride and groom before submitting. It's the worst to get a gorgeous submission that would be perfect to share and have a photog pull it because the couple ends up not wanting to be featured. Soooo frustrating and so easily avoidable." "Read the blog's submission guidelines before submitting. Have all vendor credits included in the submission WITH website links. Bonus to really impress-- share your own social media handles (especially Instagram since those can be hard to find) so you and the vendors can be tagged in social media feature promotions." "Provide a vendor name, website link, or email address for everything pictured. We want everything from the entire bridal party attire down to the smallest details. If there's a submitted image, we want to know who's behind that image." "Submit to blogs that are a fit for you. I am an extreme budget blog. On Kiss My Tulle, your $40,000 wedding won't be accepted because I simply cannot feature it. It will get no traffic because my readers are not interested in that kind of wedding." "My biggest thing is fit, fit, fit. I publish a very specific, classic style, and my #1 turndown reason is that the style isn't a fit." "Make sure the specific images selected for submission are a fit for the blog. For example, if I receive a beautiful wedding that works for me stylistically, but I get hundreds of images and half of them are photos of the guests dancing and drinking at the reception, I'm turned off. Why? Because I hate fun. Just kidding! Aunt Mildred doing the Electric Slide is great for the couple themselves, but when the submission guidelines say no to those candid reception images, it means they won't be featured." "Always reveal when a feature was/is being featured somewhere else as bloggers do talk to each other. Not doing so creates a stress on the editorial calendar and can hinder future submissions and publication relationships. Under special situations, some editors will feature already published content before (even if they state exclusivity), but they take timing, outstanding content, and personal editor relationships into consideration." "It's in the photographer's best interest to get to know the blog they're submitting to - hopefully they've already confirmed that their submission is the right fit before going through the whole process. But even one step further, if the blog in question primarily features natural light photography, a ballroom wedding with blue reception uplighting might not be the direction they're going for with their brand." "Separate images of different sizes (as in mixed film/digital submissions)! Only submit standard image sizes for your feature as those images are more useable for blog features that have size constraints." "I am most interested in working with photographers (and other vendors involved) who participate in getting the word out. For example, if after publishing a photographer's work, he/she engages in that publication either by sharing the link with their fans, commenting or even an email acknowledgment, I would be happier to work with such vendor as opposed to one who made no form of engagement at all. Publication is a partnership!" "Engagement shoots are harder to place than real weddings, so make sure the blogger can tell a visually appealing story with the photos you send. No need to create engagements with a lot of props, but do include natural detail shots. For example, the surroundings/location or the couple's wardrobe. This will increase the odds of your submission being accepted!" "Love the blog your submitting to. So address the email to the blogger (not sirs/madam or the name of another blogger!) and ensure your submission is a good fit by getting to know the blog and blogger." "Have a look at the last week of posts, can you see your shoot/wedding style and/or photography style fitting in? If not, submit to another, more well suited wedding blog. If a submission is not a fit, please don't take it personally or make it doubt your talent/abilities. Rejecting submissions is one of the hardest parts of a blog editor's job but it's also an essential part. From our perspective, it's simply about featuring content/imagery that our readers want and expect as well as staying true to our aesthetic." "If you are having trouble getting published on "big time" blogs, don't lose faith. There are a host of smaller themed and regional blogs who would be thrilled to hear from you. 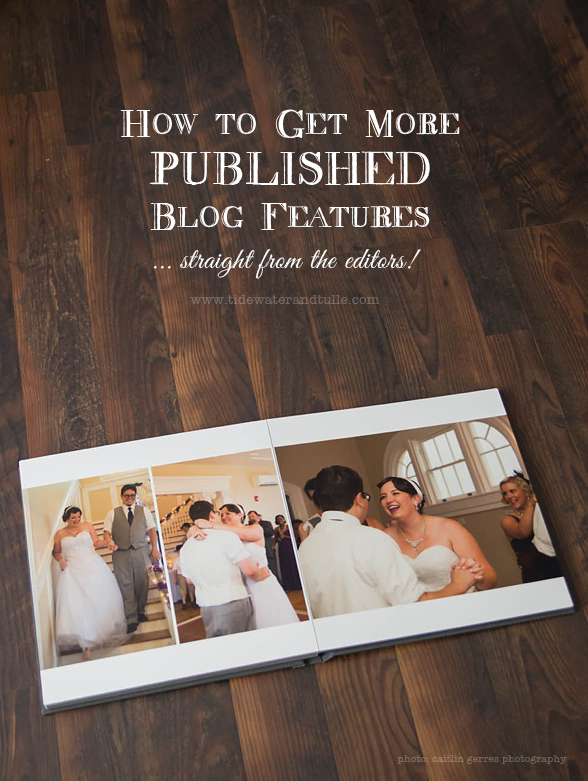 Knowing the niche, location, and editorial stance of smaller sites and how that particular wedding you shot falls into that trifecta will really help you sell your work, as well as help out a blog editor! Reaching readers of a local blog might get you more valuable leads and attention than a post on a national site as well." All photos by Caitlin Gerres Photography. You can also get to know her as T&T Vendor Fam!